Once we had no option for nailing other than a hammer. Nailing with hammer involves the high possibility of injuries and workspaces damages. To get rid of possible injuries and make nailing tasks more convenient and safer, finish nailer was introduced. 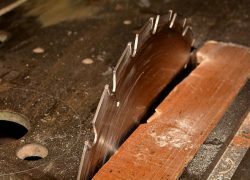 After its invention, it became an essential tool in every household, especially for the woodworker and carpenter. Manufacturers have been producing nailer for the people, but it’s your responsibility to pick the right one for your need. Buying the best finish nailer and buying the rests has some differences. The best tool will give you the finest result and you will have as much control as you want over it. 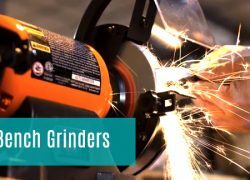 To help the would-be users, we enlisted some industry leading finish nailers those are satisfying their users for a long time. Also, prepared a detailed buying guide with an FAQ section. By the end of this article, we hope you will be able to choose the best nailer for yourself. I should buy a brad nailer. No, I should buy a finish nailer! It’s a common dilemma a novice buyer encounters when he plans for purchasing his first nailing gear. Brad and finish nailer both are very different from one another in various aspects. Some of the major differentiation are stated below. 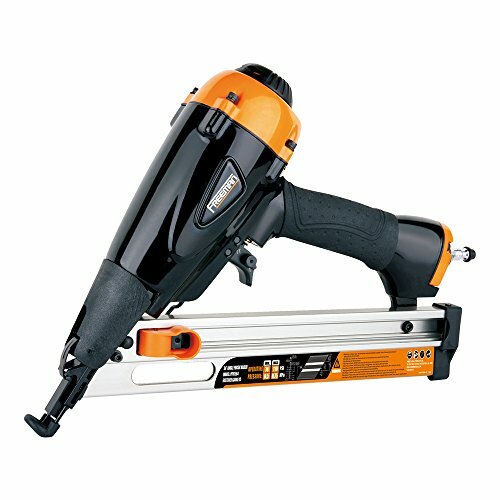 Brad nailers are used for attaching lightweight trim to a woodworking project. These nailers are perfect for temporary tasks. Inversely, finish nailer deals with hard, thick and permanent operations. Brad Nailers are thinner and feature a smaller head, finish nailer has a comparatively larger one. Both heads are good for specific usages. Finish nailing gun is run by thick and larger nails. Nails hold by the finish nailers are typically 1 to 2.5-inches long. Relatively smaller nails those range from 5/8-inches to 2-inches are suitable for a brad nailer. Preferable materials for brad nailers are plywood and medium density fiberboard. On the other aspect, finish nailers are strong enough to work on various materials including hardwoods, softwoods, and MDF boards. Makita AF601 accumulates many features and powerful performance in a compact size. This unit was engineered for all-day professional use. So, if you are in need of a hardworking finish nailer you will find it suitable to your need. The nailer is compact in size but is able to deliver top class performance. It’s powered with a strong motor design that can handle 16-gauge straight finish nails from 1" to 2-1/2" in length. 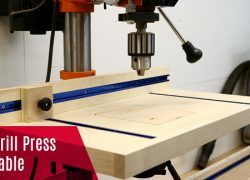 The basic of accurate nailing is, the more efficiently you can control your machine the best result it will provide you. Here a 2-mode selector switch gives you the opportunity of keeping more control over all sorts of nailing operations. Miss firing is a common incident that most of the unconscious users face. Sometimes it causes materials damages. To keep the user from miss firing Makita designed dual safety layer. The model has both nail lock-out that stops firing when the magazine runs out, and a large window to monitor on the supply of nails. Nail extraction happens with almost all nail finishers. But here, if accidentally nails stuck in the nose of the machine, you can remove it without any tool. This tool-less clearing technology allows you nonstop nailing. The finish nailer weighs only 3.8lbs also has reversible belt hook. So you can carry the tool wherever you go for nailing. The hooks also allow you carry the nailer on you both shoulder. If you are right handed it’s ok, if you are lefty then it’s also okay. The multi directorial air controller will give you the power of controlling the air movement. And, you can keep your face safe every time you doing nailing jobs. Along with this, the housing bumpers also protect your tool and work surface from any damages. 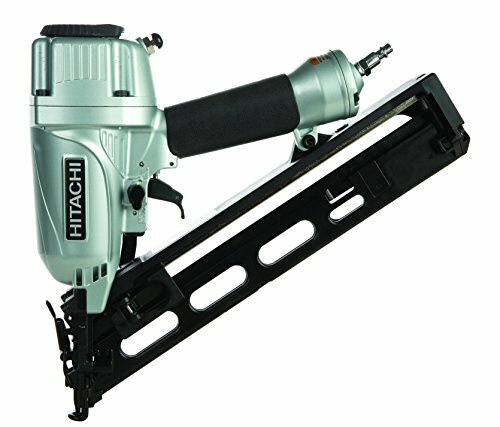 If you’re looking for one of the best 15-gauge nail finishers of the market, the Hitachi NT65MA4 is a product worth your attention. It’s a pneumatic kind of finish nailing device. The nailer comes with a 34° magazine angle. Angled magazine allows you to take your nailer to places where a straight finish nailer can’t reach for the operation. Actuation mode selection switch is also an exciting specification of this device. Starting from delivering top-notch performance to easy cleaning facility the machine takes care of both users and itself. It’s a versatile finish nailer with the option of switching between sequential or contact modes. Sequential mode requires you to depress the tip and pull the trigger to drive each nail. On the other hand, the contact modes automatically drive a nail each time the tip makes contact with the working surface. You can control the flow of circulated air. The 360-degree exhaust port allows you to direct the air flow so that it blows away from you. In addition, there is also a duster button that’s conveniently located above the grip. This duster aids to keep your nailing instruments clean removing dust and debris that come from actions. For right precision, you must have good control over the machine. The elastomer grip handle gives you the comfy grip to have better control over your tool to get precise placement. Even if the machine getsstuck in jam and stops functioning, you should not be concerned. Jam clearing is super easy and quick. The best thing about the cleaning is that the design of the nose allows you to clean jam without any means. This device also allows you to control the depth of the nails depending on the hardness of the surface. The depth of drive dial is adjusted for flush fastening into the varying surface for better control and a professional finish. It’s a great tool packed with plenty of paybacks against your pennies. The Freeman PFN1564 15GA Angle nailer is best for finishing off finer applications, such as installing the baseboard, window casing, crown molding, trim, doors, cabinetry and furniture components. 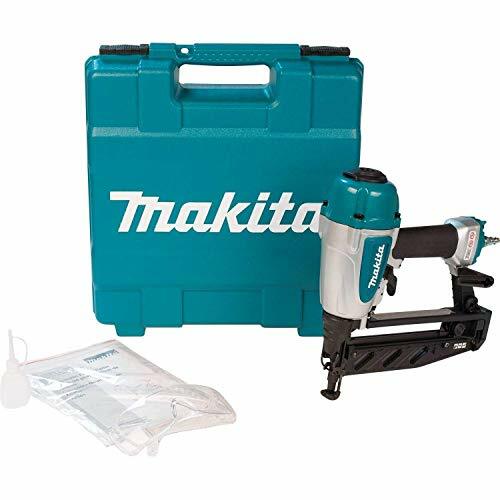 When you get this in your hand you will keep praising its die-cast aluminum housing and anodized aluminum parts, this combo makes the nailer extremely durable yet lightweight. 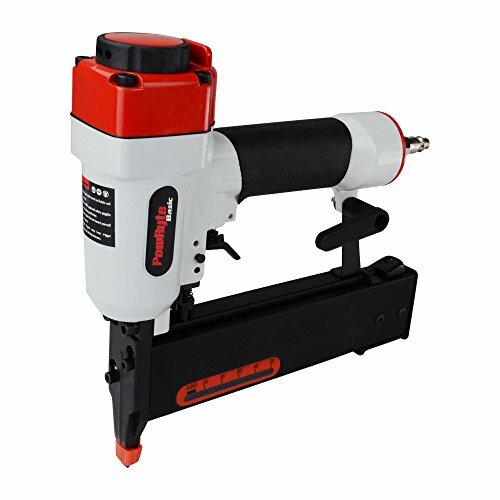 This nailer is designed with some pro features including a quick jam release, reversible belt hook and a no-mar tip that eliminates damages to working surfaces. Also, the open nose design adjusts with diverse materials for improved control and an expert finish. Keeping the thickness, nature of surface and goal of nailing in mind. you have to change the function of nailing. It is a dual trigger enabled finish nailer, which means you get both sequential mode and contact mode for firing depending on the projects. Nailers happen to jam, but here if it jams, its cleaning is just a relaxed process. Tool-free quick release system facilitates you to free your machine within few seconds from the annoying jam. The anti-dust cap also will keep your appliance’s out and inside away from dust and debris. PFN1564 is featured with a unique 34-degree angled head. The head allows the device for precision fastening in narrow or confined areas. So, with this nailer, you will feel some extra advantages of working in an inadequate space. Depth varies for the object to object. Using the depth adjustment dial you can certain the deepness of the nail into the materials. But, here it is a little difficult to figure out the dial. In the beginning, practice on some scrap until you get the system of how to turn the dial to get the preferred depth. 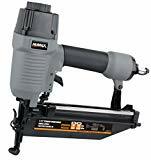 If you are planning to purchase a finish nailer that is perfect for finishing off interior and exterior projects. We will suggest you go for the NuMax SFN64 straight finish nailer. The nailer is also a great choice for beginner woodworkers and hobbyists who are looking for something high-performing yet affordable. NuMax particularly designed this SFN64 fire 16-gauge straight nailing device that nails anywhere from 1 to 2.5 inches. There is a specialty of these small nails, they basically disappear into the wood. So you will need to spend only a few minutes filling the sanding holes. Though the nails are small in size, they are pretty strong. After all, it has every aspect to become an essential part of your tool’s collection. The model is constructed with highly durable and lightweight aluminum body. 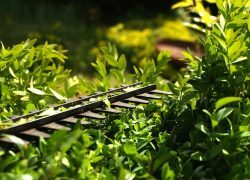 As a result, you will get nonstop nailing experience around the year. The lightweight feature also enables you to carry the tool for remote usage. Installed quick jam release feature will take care your working speed by minimizing the downtimes. In case your device trapped into jam, you can clear it by your fingers only within no time. Moreover, you can also adjust the depth of nailing using your fingers only. Every time you nail on the materials the device emits some air. This machine features a 360-degree adjustable exhaust that helps the user to change the air cycle away from the user’s face. Firing with this model you will get more accuracy. Manufacturers installed the sequential firing mode which fires only one fastener at a time. So you will have enough time for placing your nailer on the right point. However, for added perfection, we recommend you to use a level with a laser for correct placement every time. There are so many reasons to love this Bostitch creation. But, the property deserves mentioning first is its gigantic amount of force that this lightweight design can deliver. The nailing gun can produce 400 inch-pounds of driving power! Which is more than enough to drive even 2.5-inch nails deep into the wood. Bostitch N62FNK-2 is the perfect tool for tackling the details works that make your home stand out. 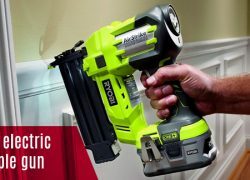 You have to use this finish nailer with a standard air compressor to add trim around doors and windows, apply crown molding, and work on furniture projects. The machines those need to keep smooth using oil sometimes stain the workspaces, which is very undesirable. If this Bostitch is your nailing machine, you will be safe from the fear of any sorts of stain. This machine doesn’t consume oils to be active. This finish nailer is benefited with adjustable nail-depth settings and an operating range of 70 to 120 PSI. As an outcome, you can control the device differently to drive the right depth for the different jobs. And, with its mighty driving power, you can effortlessly set 15-gauge finishing nails even into the most frightening hardwoods. Too-free magazine of this model has the capacity of holding up to 130 nails measuring 1.25 to 2.25 inches in length. This amount is sufficient for working an extended period of time before having to refill. Which makes the entire project faster and consistent too. Removing jam, reloading the magazine, even cleaning the machine, everything is easy and simple. And, you can do all these without receiving the assistance of almost any tools. The device planned to maintain using less tool. Convenience and high performance are two of the major benefits those make the Dewalt DC618K XRP one of our list. 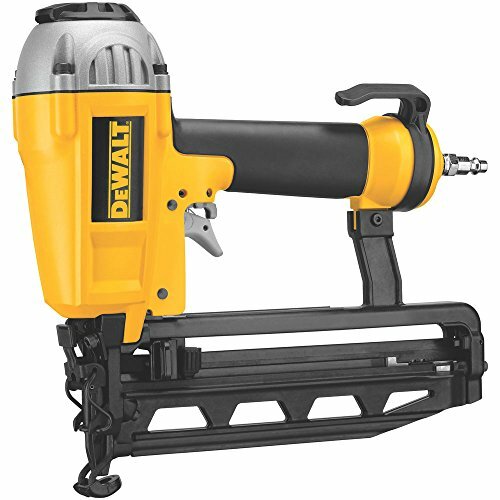 This model of Dewalt is also a popular name of the cordless finish nail gun. DC618K is a cordless nailer so it will solve the nailing problems of both home and outdoor. It comes with one 18-volt XRP battery. This type of batter provides up to 40 percent more run time than standard Ni-Cad batteries. Beside regular advantages, the device featured with a contact trip lock-off, which disables the trigger when the machine is not in use. 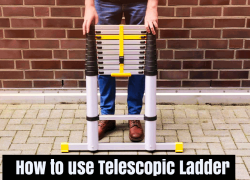 Overall, it has a good balance and will handle any job with brilliance. Powerful engine design empowers the tool to work consistently on both soft and hard substances. The 20-degree magazine is able to grasp up to 120 nails which ensure continuous work without the tension of frequent reloading. DC618K has rear end magazine panel for holding nails. The hole will accept DEWALT and Paslode 20-degree nails. Sliding and reloading the nails are easy, even a novice can do that. Without using screwdriver or wrench you can open the nosepiece for the removal of jammed nails. You can operate the device both in a sequential manner and bump manner. The sequential operating method allows for precision placement and the bump operating method provides the user with functional speed. This finish nailer also has two more extra features those only few machines have. An integrated LED and a cap. LED helps the user to work properly in the low light area, and the later one is an impact resistant tool, which is also easy to remove for troubleshooting. The BTFP72155 from prominent tool manufacturer Bostitch is a fantastic combination of features like smart point technology, tool-free jam releasing, oil-free operation, front and side bumpers, air blower, dial-a-depth control, selectable trigger, rear exhaust, and a tool-free adjustable belt hook. This 15-gauge angled finish nailing device is perfect for chair rails, wood furniture, decorative trim, crown molding, baseboard, cabinets, millwork, caskets, hardwood flooring, furniture, and paneling. 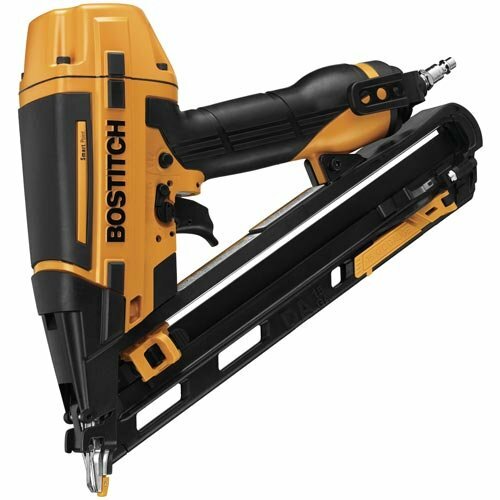 Integration of smatter technology is one of the most outstanding features of this Bostitch BTFP72155 finish nailer. As the blessing of this technology, this 15-gauge finish nailer has a smaller nose. It assures easy nail placement without having to compress contact trip to actuate the position. Having the smaller nose, the user gets a better view of nailing point. As consequence, every nailing becomes even more accurate. Furthermore, depth control feature ensures the desired depth of every accurate assignment of nails. So your perfect nailing is granted. Removing nailing jam and keeping the machine faster all around, you won’t need either a toolbox or oil. Now you can work fast with the device even if it jams. Also, your working area will get out of danger of affected by any kind of stain caused by oiling. Nailing makes debris and the debris makes the working space filthy. The machine has an integrated air blower. Operating this you can remove all the debris and dust after every sitting of nailing. Around all the nailing period you will get a clean and tidy workplace. The machine drives 15 GA "DA" style angled finish nails from 1-1/4" to 2-1/2" length. You can control this driving process as you want. It has selectable trigger system to enable both sequential nailing mode and contract mode of nailing. This lightweight finish nail gun is a great deal for those who do not foresee themselves needing a bump firing option. This product causes you some handsome bucks. But, in the end, it does justice to its price tag. It’s manufacturing quality and performance forced us to keep a place reserved for it in our list. 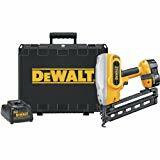 The machine is produced by tool dominator Dewalt. The manufacturer assimilated all the necessaries to make sure their users get maximum benefits from this one. It has fantastic functional features along with some additional aspects, like 100 nails capacity magazine, 360 air exhaust, low-profile no-mar pad, and an adjustable belt for carrying. Dewalt D51257K accepts 16-gauge nails between 1 inch and 2.5 inches long. You can also use finish nails from size 2d to size 7d, even size 8d, without confronting any issues. Fundamentally, the sizes will cover most of your interior carpentry necessaries. The nailer weighs 3.9lbs only. This one is one of the least heavy finish nailers out there. For smoothing holding it is wrapped with a comfy grip. So it’s less weight and covered with comfy grip, then it is assured that your hands and arms never feel tired even after relentless hours of usages. A cool fact about this finish gun is the sealed lube dial mechanism. It means that the motor can function both with lubricant and without lubricants. This helps the user to use the tool with minimal upkeep and makes it more versatile. Here the backend loading magazine is easy to refile. Reloaded nails are fired in sequential mode for safety and accuracy. If the nails ever getjammed in the nose, you can free them without begging to toolbox assistance. It’s just a matter of few seconds to clean and start reworking. “Save most live best”. With this motto Powryte manufacture products for delivering best performance by saving your money. This16 Gauge finish nailer is a proud member of our list that perfectly reflects PowRyte’s visions. 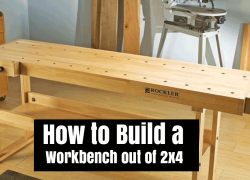 It’s packed with features that particularly made for DIYers and beginners. This product is a straight finish nail gun that accepts 16-gauge nails from 0.75 inch to 2 inches. The measurement indicates that this nailer is meant for smaller sized nails. if you are planning to do some light work like cap molding, shoe molding, this finisher will suit your needs. But, this isn’t a great choice for jobs that require getting into tight spaces. Because here the magazine isn’t angled. Magazine of this model has a reload indicator so that you can clearly see when you’re getting close to the end of nails. The indicator helps you to avoid dry firing so your materials will be safe from any kind damages from dry firing. Nailing makes an air flow. If you can’t customize the flow it may blow to your face, which is very unexpected. But, adjusting the 360-degree air controller, you can simply make a flowing way for air against your face. This finish nailer comes with a non-mar tip. It helps to prevent scarring and denting of the workpieces. Working with this machine you never be in danger and your tool never goes to be harmed. It also has a split nose design that makes jam clearing faster and relaxed. The nailer is featured with a tool-free depth of drive modification, that countersinks the nails accurately into various types of exteriors. As this gun deals mostly with soft materials, depth controlling will give the user a top-notch nailing experience. 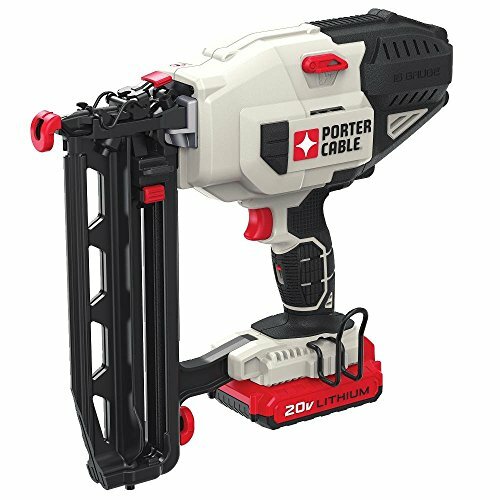 Among the cordless finish nailer, this one from Porter Cable got much appreciation. This is a great buying option for trim and finishes carpenters who are looking for a more complete product line power by stored energy. Porter Cable PCC792LA is a 100% battery power finish nailer. 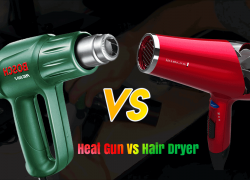 It has a 4.0-amp inbuilt battery that able to fire up to 1000 nails with a full charge. It eliminates the need of any compressor, hose, or costly gas cartridges. This can also be the best option for mover and who love wireless hassle free nailing. The new straight finish nailer also meets the need for a larger fastener. 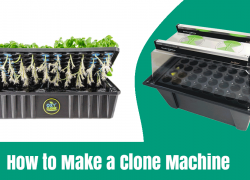 This machine has a powerful motor that provides consistent firing power into various materials and in climate conditions. Because of its powerful formation, you will get the same firing strength from this device every single time even after a long hour of nailing. Magazine is handy easy to reload and monitor. It has a holding capacity of 100 nails at a time. I think this amount is good enough for a long session. Besides, the machine deals with 1-inch to 2-1/2-inch nails. For safe and steady placement, the tool is coated with smooth rubber layer and featured with a lockout switch. The covering provides the hand an extra strength holding the machine. And, the switch is present below the trigger that prevents accidental switch on or off when holding the tool. Featuring LEDs means you have options to nail even in low light spaces. 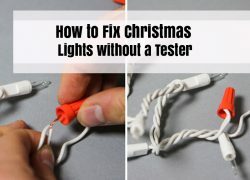 So if you have this Porter Cable your precision will not be less even in the dark areas like a corner of house or furniture. This PCC792LA also allows for tool-free depth modification to make the nailer ideal for different applications bearing different fatness and rigidity. And, the jam cleaning is just a matter of few seconds also doesn’t require any forms of assistance. Like other tools finish nailers come in various size, weight, functional formation, and power system. How would you know which one is the best for finish nailer to purchase? To help buyers to know a finish nail gun properly before buying, we made a buying guide. Whether you are an experienced buyer or a beginner, you will find this section supportive. 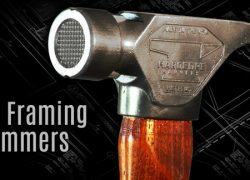 We covered all the details that a buyer should know about nailing gun before choosing one for himself. For your easy consideration, we separated the compulsory factors from complementary features. If you follow this segment, it will work as your guide to take the decision of purchasing finish nail gun by yourself. You should be very careful about these factors. In a nutshell, these are the basement of experiencing the finest nailing operation. Power energies the motor to prepare the machine for operation. Nailers are commonly available in two powered structures, both are described in details beneath. Battery powered device has a rechargeable battery inside the nailer. The duration of nailing with a single full charge depends on the ‘amp’ of the battery, the higher ‘amp’ is better. Battery enabled machines are better for those who mostly do outdoor operations. As these machines don’t have any cords you can move freely anywhere, any corner of the house. One drawback of this nail gun is, if you don’t have a much energetic battery, you may have to charge it frequently. But, batteries are changeable and if you wish you can maintain an extra one. Air powered nailers typically have a little more power than battery operated ones. Air powered devices need an air compressor. After purchasing nailer, you have to purchase a compressor that goes with the nature of your machine. The downside of this kind of guns is that the tool has to be constantly attached to the compressor tubing to work. So, the operator feels less freedom of roaming. Additionally, the compressor has an extra weight so if you need to do nailing around the places you would better avoid this. Nails are available in numerous sizes. Measuring the thickness and hardness of the objects nails are chosen. For example, farming operation requires larger nails and DIY projects and simple home repair needs smaller nails. Finish nailers do not come in universal size acceptance mode that they accept all sizes nails. Before choosing your machine check the acceptance list of nails for that specific model. Most of the finish guns accept nails which are within a range anywhere from 1 to 2 ½ inches long. This range is enough for most projects. 15 gauge and 16 gauge are the common types of nailers. There are also two those homeowner and casual users repeatedly want. The measurement of nail gauge is little interesting, the higher the gauge the smaller the nails are! When you consider gauge, harmonize it to the angle of the nailer’s magazine. Remember, a large angle will make the nailer easier to squeeze into smaller surfaces. Most 16-gauge finish nailers are straight, and the angled ones only go up to around 20-degrees. If you need a piercing angle, you can go with a 15-gauge gun which has angles up to 34 degrees. In general, magazines and nose provide tool free servicing opportunity. Without the tool, repairing means you can work in them by your hand or fingers. This way of servicing is fast and help to keep the working hype on. If your tool enables of tool free features you can remove jam, reload nails within a few seconds. Smooth grip works best for persons who tend to sweat much and whose palms go oily. Comfy rubber grip also helps user working long hours at strength without any muscle pain. Miss firing or dry firing damage the working surfaces. Some finish nailers have features that prevent dry firing. If the gun out of nails it stops firing by itself. Having this assistance, you needn’t constantly check the nails status. Air compressor powered nailers releases air at the time of every firing. Featuring with a 360-degree air exhaust, you can control the air movement to blow against your face. Depth controlling allows you to specify the depth of each nail. If your machine has this advantage you can decide how long the nails will penetrate considering the thickness of the objects. Magazine keeps the nails arranged. Larger magazine holds more nails and ensures a longer period of action. A nailer featured with magazine indicator let you check the remaining number of nails without sliding it. Addition of air duster lets you clear dust and debris that comes from nailing jobs. It’s also a great way to clean up and prepare the space for the next working session. Indeed, a neat and healthy working surface is always expected. Step -1: Choose a model that reflects all of your requirements and needs. This section contains some basics of finish nail gun including some most asked questions about listed best nail finisher. 1: Does Makita AF601 Shoot Staples, Too? Or Just Nails? Ans. Makita AF601 is a finish nailer and it doesn’t shoot staple. This one is best for nailing especially for finish nailing projects. 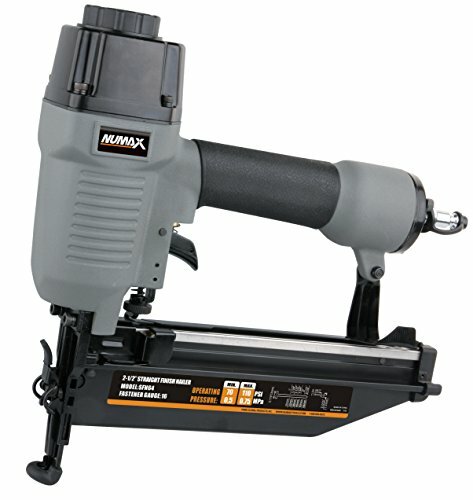 2: What Type Of Compressor Should I Buy For My Finish Nailing Machine? Ans. Compatibility of air compressor varies from nailer to nailer. The minimum and maximum air pressure level that a gun will accept is printed on the gun and in the literature that came with it. Simply following that you can purchase the best one for your nailing gun. In general farming finish, nailer requires high-pressure air compressor as they have to operate with 3-inch or larger nails. 3: Will Freeman PFN1564 Nailer Work For Beveled Siding? Ans. Yes, it will work. 4: What Does Gauge Mean As A Measurement Scale Of Nails? Ans. The gauge parameter is used to give the user an idea about the length of the nails. In general sense, the gun having higher gauge means the nails are smaller than measuring lower gauge. More certainly, 18 gauge nails are smaller than 16 gauge nails. 5: Can I Load My Numax SFN64 With18-Gauge Nails For Operation? Ans. No, it takes just 16-gauge nails. 18-gauge nails are too small in diameter to function in the gun. 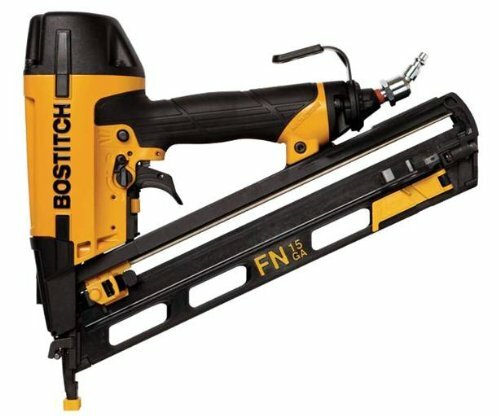 6: Does BOSTITCH N62FNK-2 Work On 3/4" Hardwood And 12mm Bamboo Wood? Ans. It is powerful enough to use on any wood. User finds the nailer effective on the wooden ground. 7: Can DEWALT DC618K XRP Penetrate Concrete? Ans. No, it cannot do that. This is a finish nailer and not designed to penetrate concrete or other hard surfaces. This one is one of the best nailers for trim work. Ans. You can buy batteries from any tangible or online shop. But, the battery must be in the accepted list of that particular device. 9: How Long Does PORTER-CABLE PCC792LA Take To Recharge The Battery? Ans. It takes about half an hour to be fully charged. 10: Do I Have To Use Only Dewalt Finish Nails With This DEWALT D51257K? Ans. Yes, you can also use other brands’ nails, they all work well with this model. Just make sure that nails are in the machines accepted gauges. 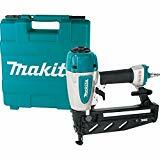 All those top 10 nailer reviews, the differences among different types of nailers and buying guidance were our effort to help you find the best finish nailer for your need. Understanding all the features and benefits and considering major factors, I think you will be mature enough to pick your finish nailer.